A porcelain saucer in the form of an open chrysanthemum flower, with flat base and thinly potted, curved sides. 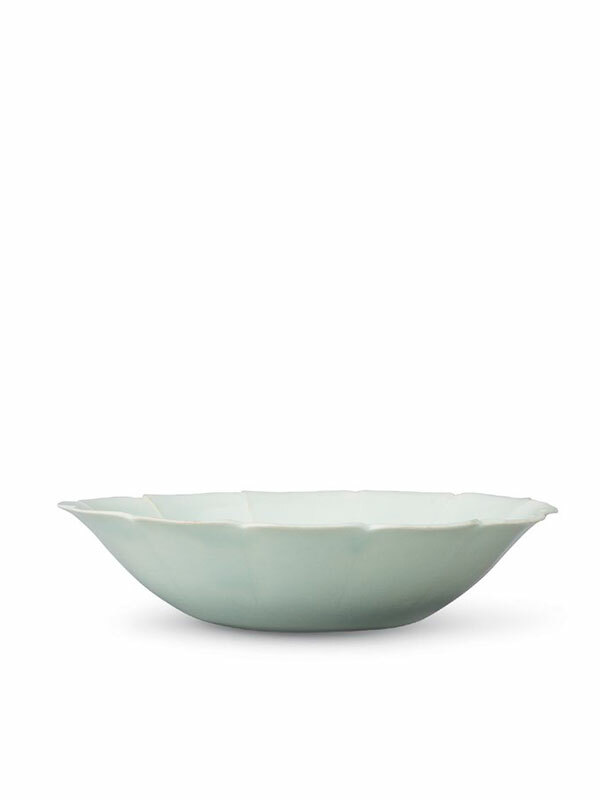 Radiating out from the centre, the raised ribs divide the upturned and gently splayed rim into twelve lobes. 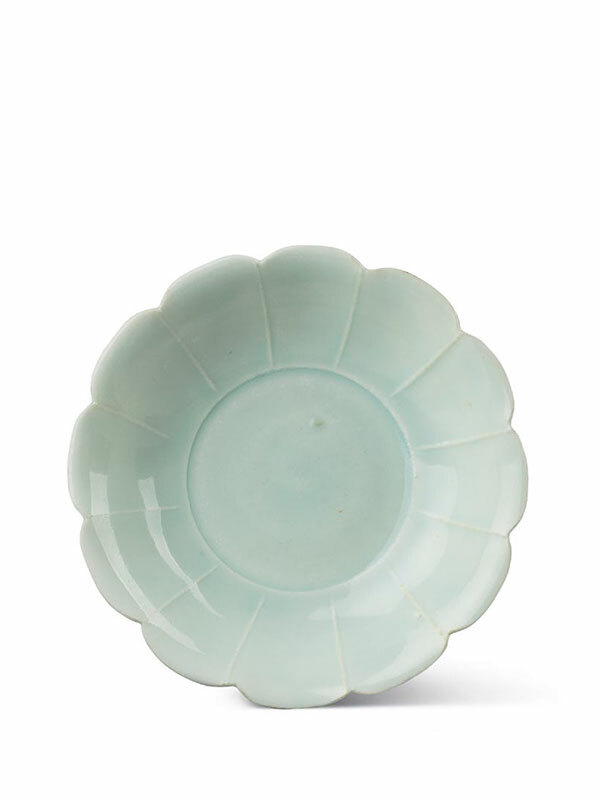 The saucer is covered in a transparent glaze of pale blue hue, leaving only the base unglazed, showing the fine-grained white porcelain body and characteristic black firing marks.